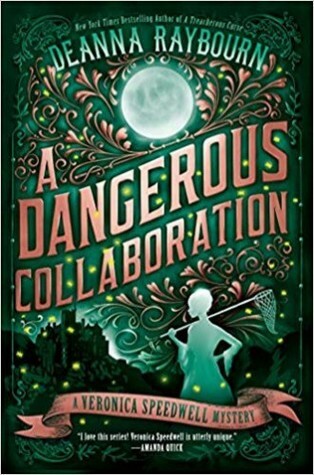 A Dangerous Collaboration (Veronica Speedwell #4) by Deanna Raybourn ⭐⭐⭐⭐★ - This was delightful. I will post a full review soon. 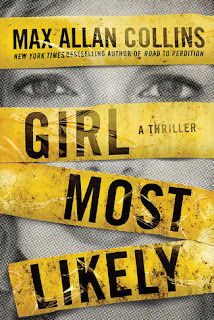 Girl Most Likely by Max Allan Collins [DNF] - It seems like every year there's that one book that you loathe. 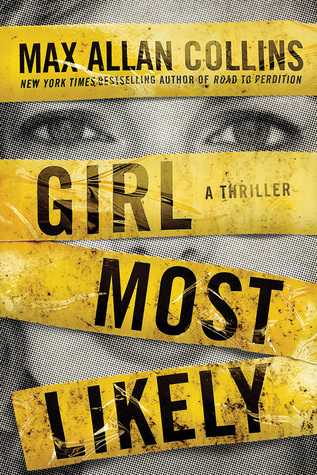 Girl Most Likely is this year's book for me. 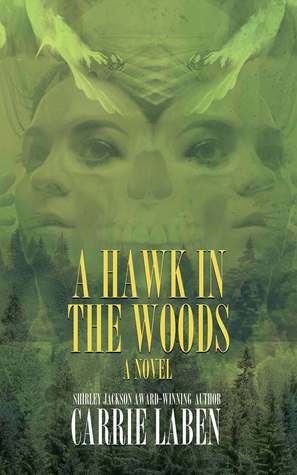 A Hawk in the Woods by Carrie Laben - I'm loving this! So much so I considered skipping this post today so I could curl up with this book instead! Warrior of the Wild by Tricia Levenseller - I'm really loving the writing in this one. 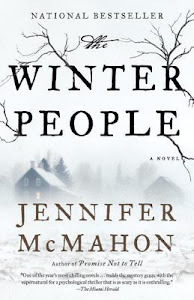 The Ladies of Horror Fiction is hosting a readalong of The Winter People in May. I'm looking forward to it. 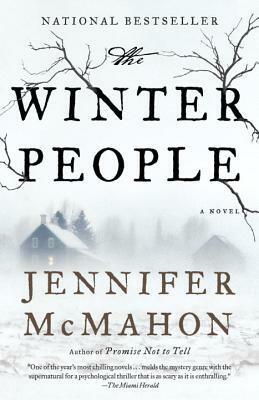 It will be my first Jennifer McMahon. 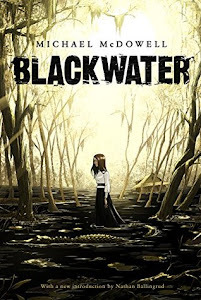 I took advantage of the 2 for 1 deal on Audible and grabbed Michael McDowell's The Elementals and Blackwater. These have both been high on my wishlist so I was excited to see them listed in the sale. 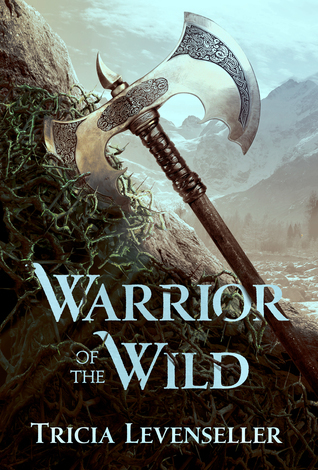 I loved Warrior of the Wild, such a good book. Weather isn't great but I am think we are finally heading into spring. I'm loving Warrior of the Wild! I like the sound of the Veronica Speedwell series - I'll look into that one. 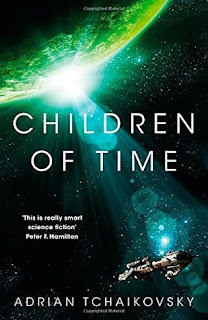 And I am hoping you're enjoying The Children of Time, even if it's taking a while:)). Hope the weather is kind to you in the coming week. I am enjoying Children of Time. :) I'm buddy reading this one on audio so it's taking longer than usual! I love the Veronica Speedwell series. You got some fun books that have me curious. I am looking forward to warmer days and flip-flops! Hurray for nice weather! It has been pretty good here too, thankfully. I hope you love Warrior of the Wild! I thought it was amazing! Oooh. I'm loving it so far! I have ben wanting to check out the Speedwell books. Everyone has such good things to say about them. Glad to hear it was a delight. 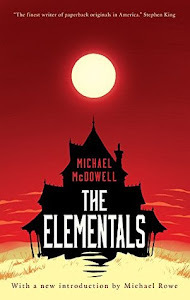 I hope to read some Michael McDowell this year. I own at least 4 of his books. And I'm glad you liked the Speedwell book. I love that series so much. 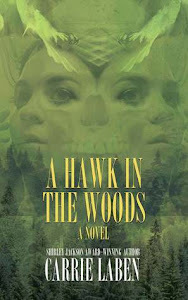 I'm really curious about A Hawk in the Woods. I must find a copy of that one. 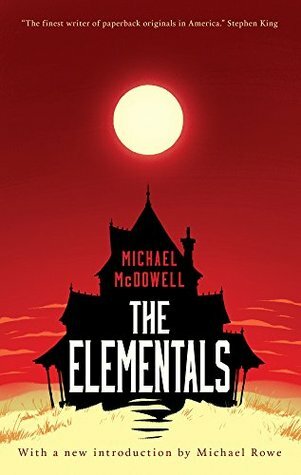 We really need to start reading McDowell. What are we waiting for?! The weather is pretty lousy here, hot and humid! The latest Speedwell is popular this week, I hope you enjoy it. Aw, sorry. I love hot and humid. Haha. Glad you didn't skip the post but delighted you have a book you just wanna curl up and read. Oh no I see you hated Girl Most Likely - you even loathed it!! Lol. I am only like one chapter in, I guess we will see how I fare. I have seen mixed reviews. Have a great week, I hope you get to the beach soon! The first couple of chapters were great for me. Then it went dooooownhill. Nice book haul! I really want to read the Deanna Raybourn series but just haven't fit it into the schedule yet. Happy reading and better weather! I know how that goes! Happy reading to you, too!